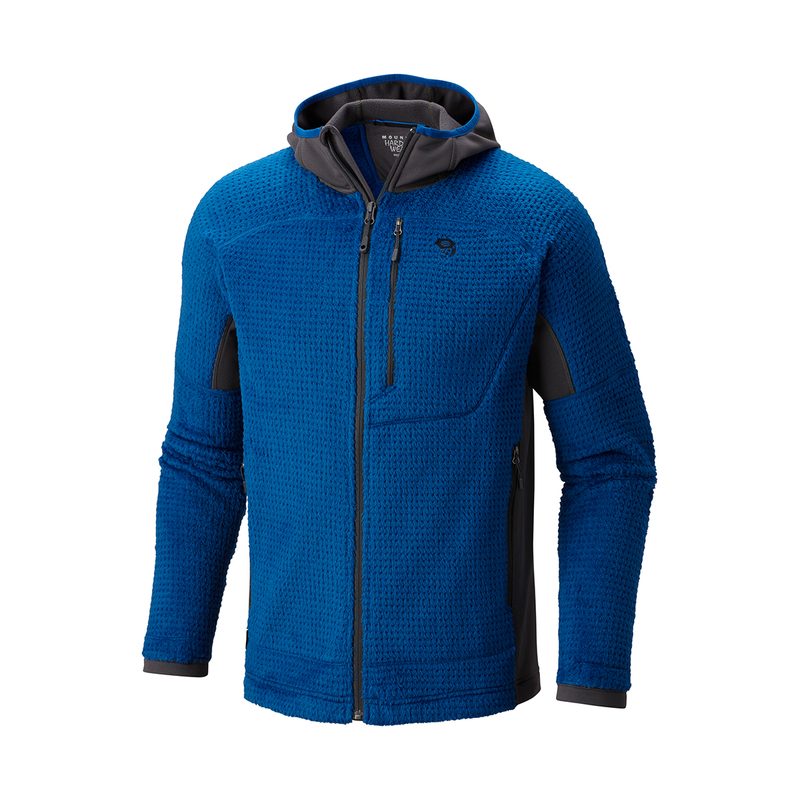 Mountain Hardwear's Monkey Man Grid ll Hooded Jacket is so warm, it didn't need any changes for 2016. This stretchy, warm and comfortable fleece is great for layering or wearing on its own for anything from autumn days at the crag to day long missions in the mountauns. It’s made from Monkey Phur (or Polartec High Loft Grid to use the technical term) which is super-warm, light and compressible, with a gridded that structure massively enhances breathability. 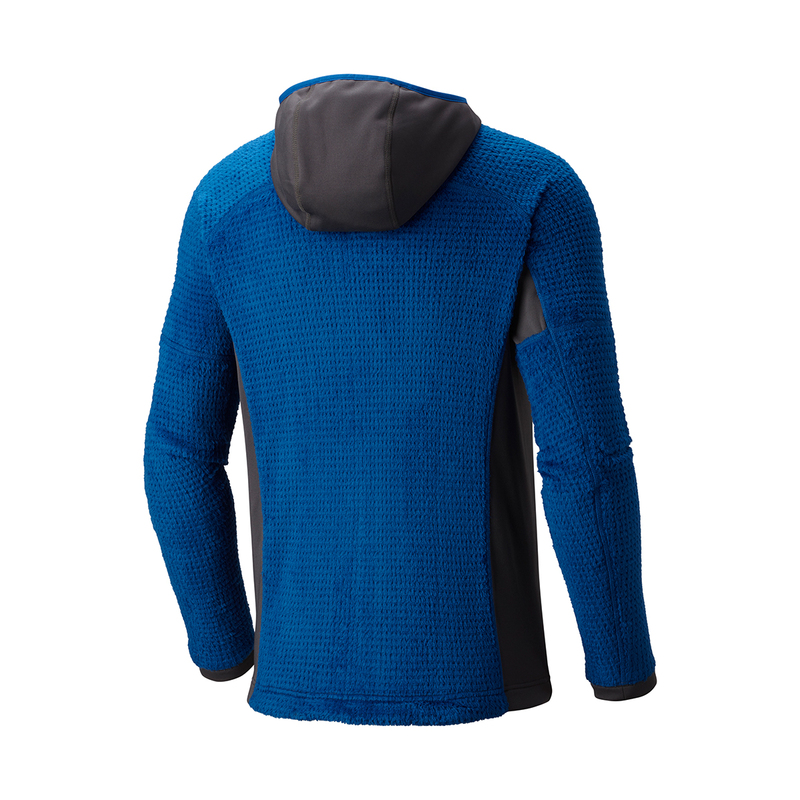 It's also equipped with gridded, stretch Hardface fleece side panels to allow for extra movement and moisture transfer where you really need it, and features two zip-up hand-warmer pockets, a zip-up chest pocket, and thumb holes. In combining the powers of soft and fluffy Polartec High Loft and the superior moisture-wicking abilities of Polartec Power Grid, Mountain Hardwear’s Monkey Phur was born. The long, fine, fluffy fibres of High Loft trap more air and provide outstanding warmth and breathability, while the gridded structure of Power Grid brings unparalleled moisture-wicking capabilities to the mix. These qualities combine forces to make a fabric that’s super-soft, comfortable, lightweight and compressible for all your cold-weather needs. Hardface technology was developed by Polartec and is a means of fusing a special polymer to the outer layer of fleece fabric. This makes the surface of the fleece smooth and abrasion-resistant, and massively improves its water and wind-resistance, while allowing the levels of stretch and breathability to stay the same.